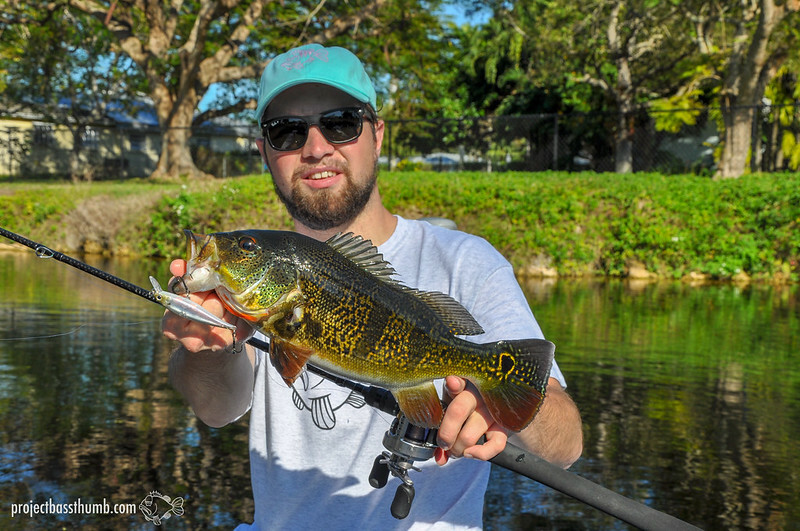 Since I caught my first Peacock Bass in Brazil a few years ago, I've became addicted to this fishery. 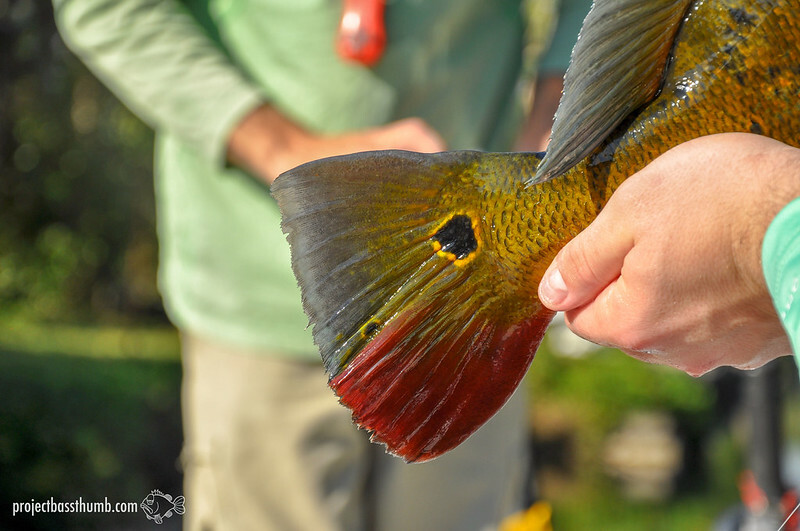 Fishing in the jungle blows my mind every time and the fish are not only intense fighters but their colours are at least as fascinating. 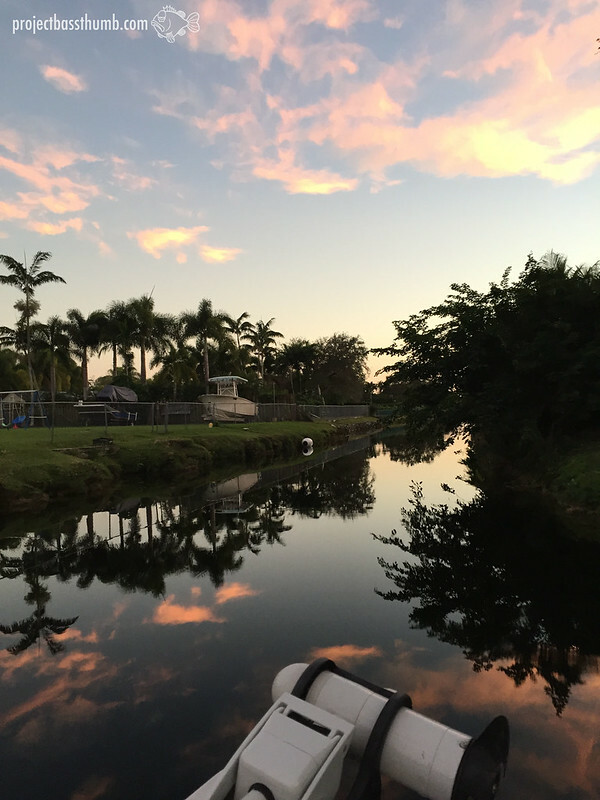 Recently, I was on family vacation in Florida and of course fishing was on my mind! Which isn't easy when you are traveling with a family of non-fishers. 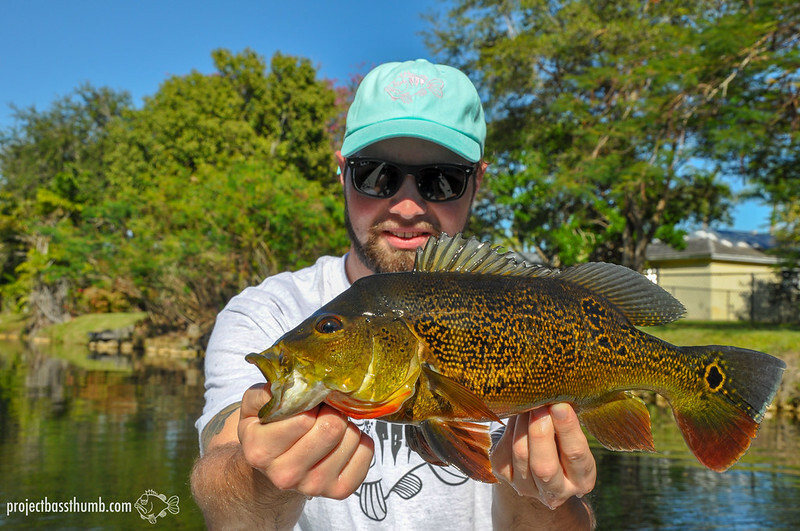 Nonetheless we stopped a few times when driving through the everglades where I got to fish a few moments next to the parking lots. 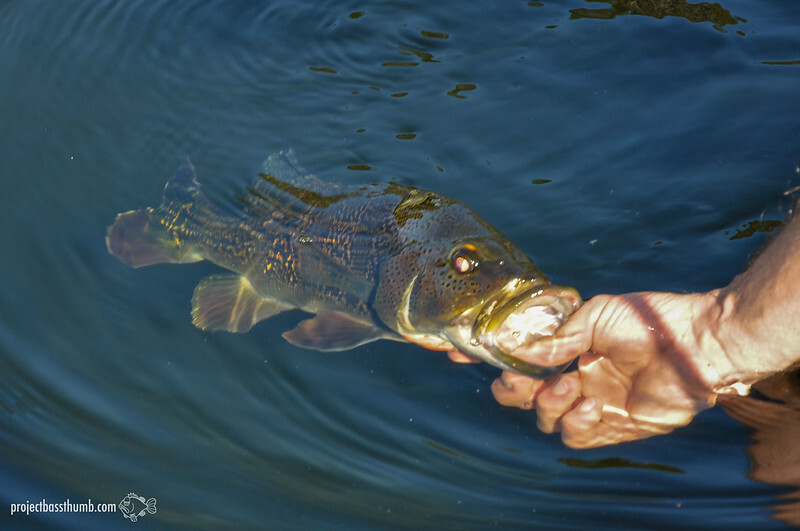 I wanted to do a day of bassfishing but our schedule just didn't allow it plus my budget wouldn't allow a day of guiding. 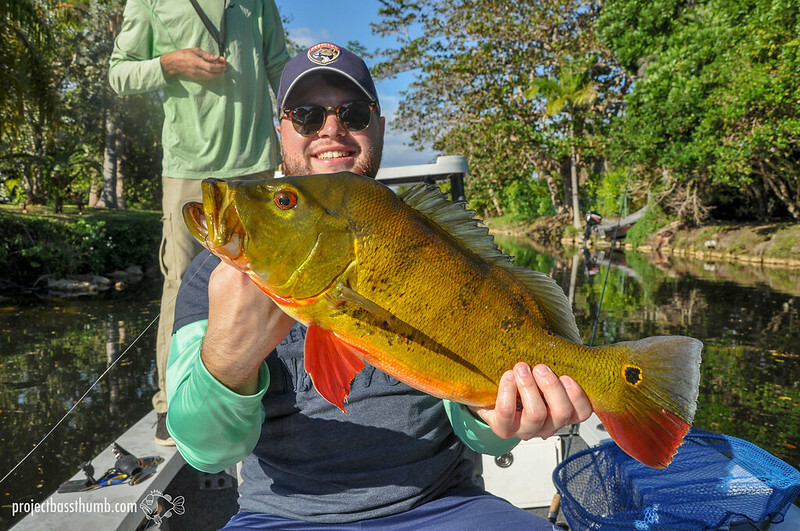 So when we arrived in Miami where we would stay for last couple of days before heading home, I tried one last time to get a chance of a few hours of "proper" fishing. 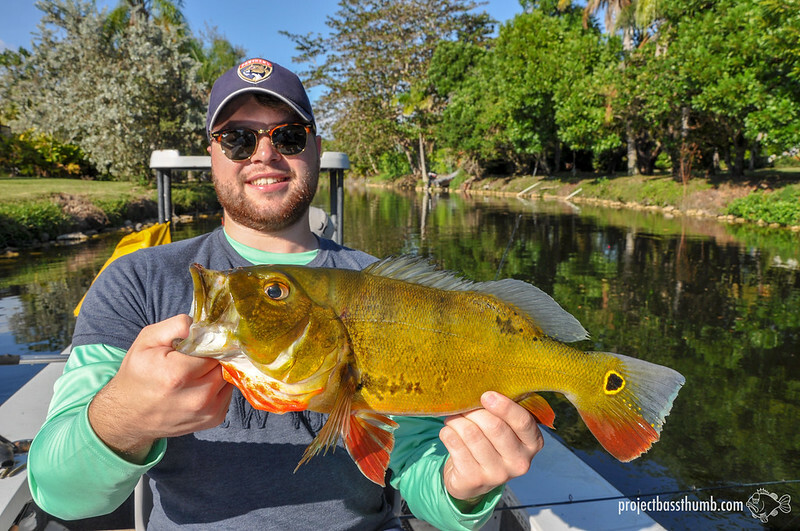 Whenever I hear Miami, I think of Peacock Bass and since I want to catch Peacock Bass in as many different waters/countries as possible, my goal was clear. 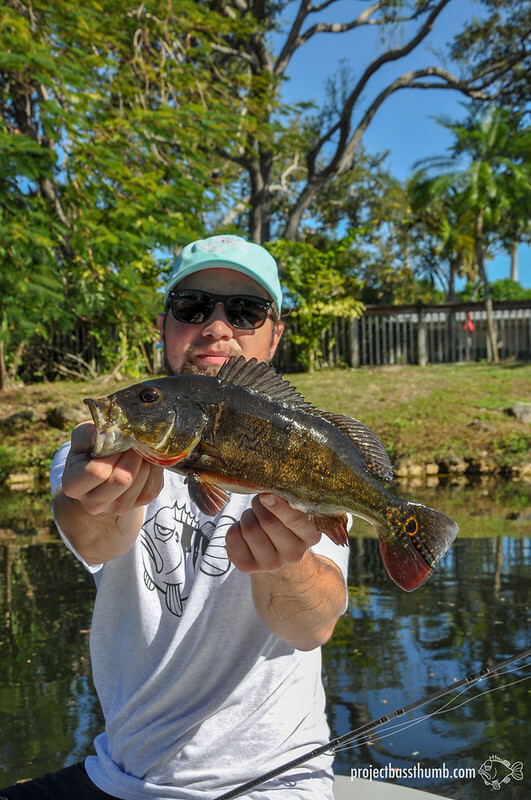 - My first Miami Peacock Bass! With a bit of luck I found a guide called Mark who had a half day spot for me on such short notice. 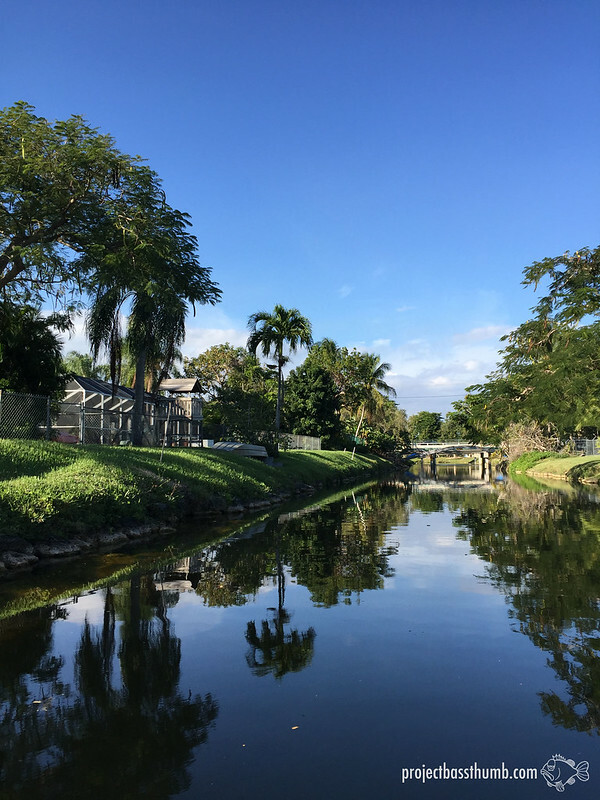 Fishing in narrow canals through the urban Landscape of Miami. This would be a completely different scene from the Peacock Bass fishing I know in the jungle. Plus the fish size to expect is way smaller so I chose the tackle accordingly lighter too. We met with Mark in a park and a few minutes later we were already fishing. 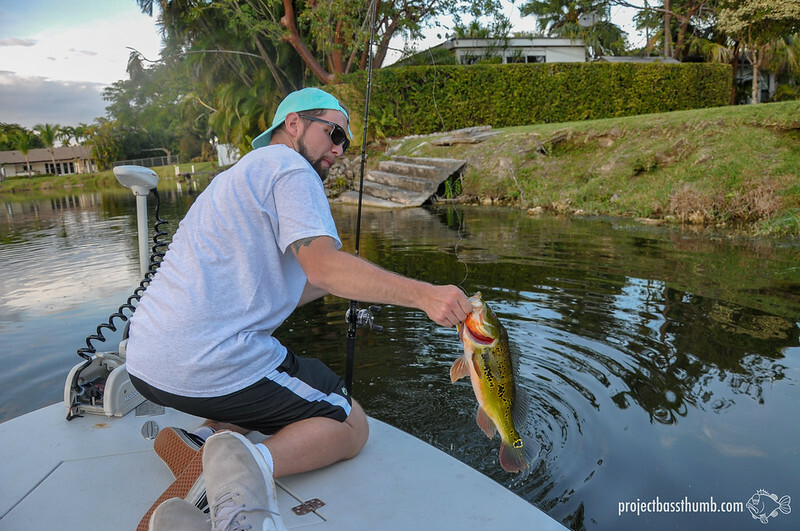 My brother joined me, after catching some largemouth Bass a few days before he suddenly was into fishing. I worked the a jerkbait trough the canal while my brother was taking some livebaits for a swim. 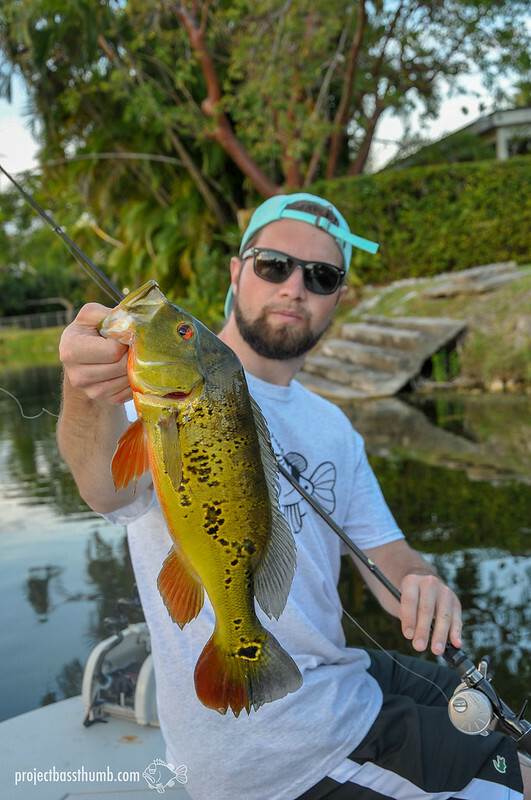 It didn't take long for me to catch my first Miami Peacocks. No big ones but I was happy anyways and fascinated once again by the variety of colors on these fish. My brother missed the first bites but made up for it otherwise as you will see in the following pictures. my brother finally landed one and of course it was the biggest so far. I spot this tank between some rocks but it didn't show any interest in artificial lures so I instruct my brother to place his live minnow next to it. 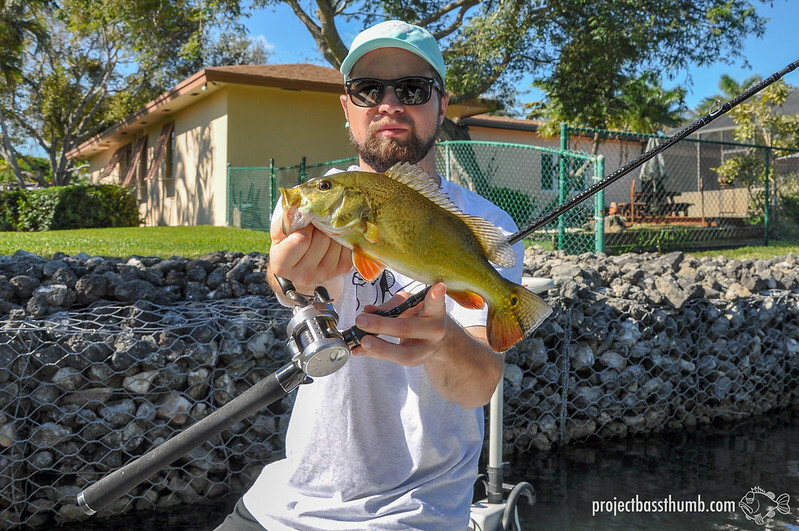 after a few tries (each failed casting attempt just made me more nervous) the fish takes the bait immediately but my brother misses the hookset. 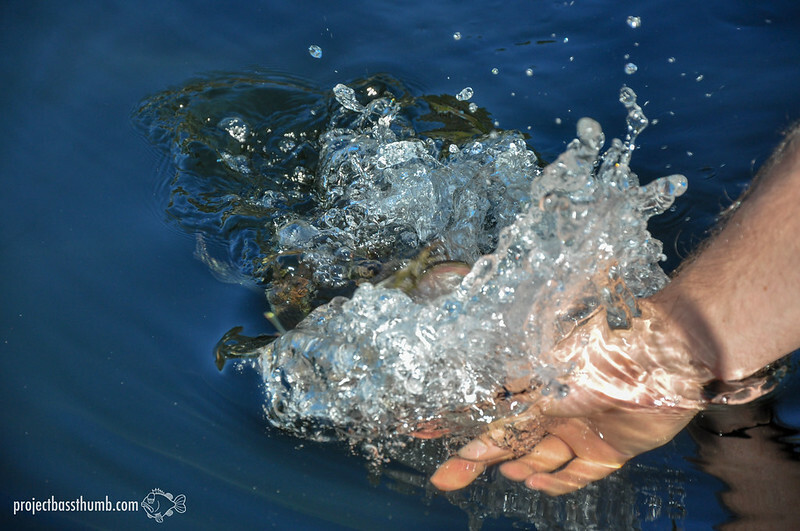 the fish disappears but Mark and I suggest to try again and to our surprise the fish returns and smacks the fresh minnow! 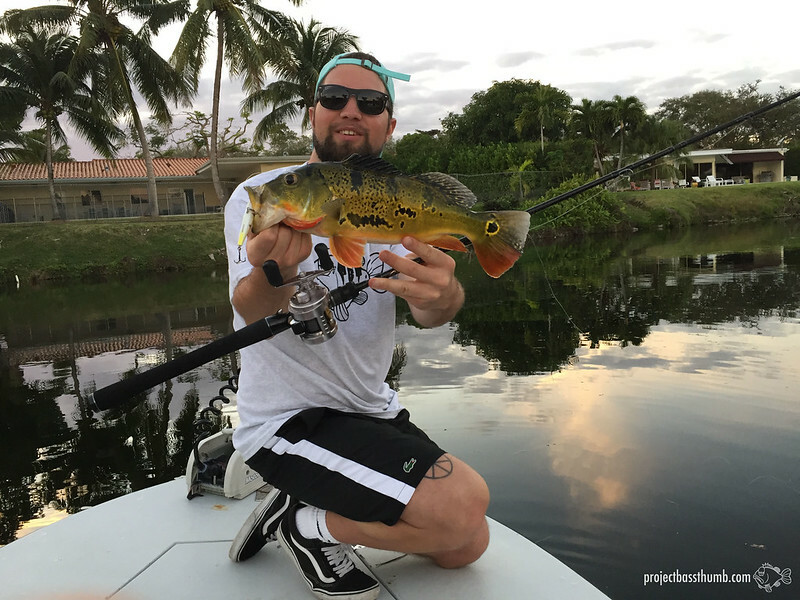 and that's how my brother beat me with this 7lb Peacock Bass which is a big fish for Miami. Even though I didn't catch it myself I was even happier for him and proud despite him wanting to give up in the middle of the fight because it was "too hard". 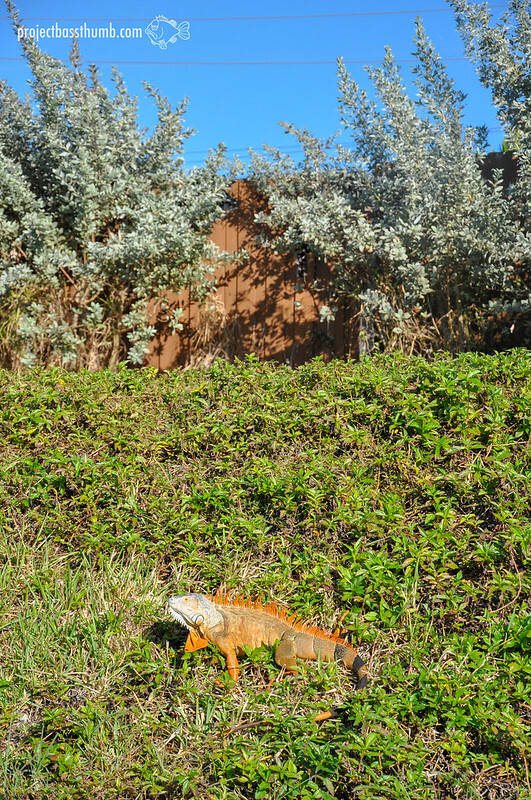 Iguanas along the shoreline everywhere - cool sight! 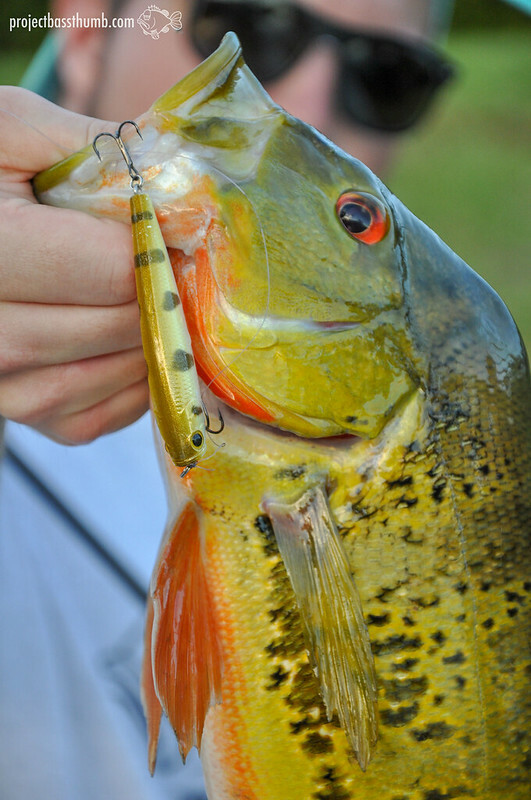 in the evening I switched to topwater which brought me a few more pretty ones. grab em by the lip! The trip turned out to be a success with around 6-7 fish each for my brother and myself. Big thanks to Mark for bringing us to the fish, interesting conversations and his patience with my brother who lost rig after rig to the stoney grounds.